Most travelers like to know a bit about their destination before they leave for vacation, and most savvy travelers head straight to their local bookstore to pick up a guidebook. However, both fortunately and unfortunately, there are a wide variety of guidebooks on the market for almost any location, let alone a popular tourist spot like Niagara Falls. After you’ve booked your Niagara hotel, you might need some direction to help you plan your activities and schedule out your days. If you’re struggling to find the right guidebook for your exploration of Niagara Falls, here’s our opinion on the guidebooks available to most travelers. You can usually trust the information in Fodor’s, and with large, full-color pictures of the destination, this publisher is particularly adept at building interest and making information accessible. The attention to detail that Fodor’s puts into its books is extremely helpful to novice travelers to any region. However, Fodr’s lumps Niagara Falls in with its discussion of activities in Toronto. In fact, only one chapter — composed of a small handful of pages — discusses the attractions of the Niagara region, and of these much of the space is devoted to explanations about crossing the border. If Niagara is just one stop on your tour of Ontario, Fodor’s might be a useful resource, but for most Niagara tourists, this guidebook fails to deliver on the details. A lesser-known series of guidebooks, Moon is gaining clout as one of the most comprehensive resources. Though Moon books aren’t available for all regions, the destinations that do exist tend to be focused and exhaustive. Moon Niagara Falls is no different. The author is a native of the region, meaning he has had plenty of experience with the attractions that both locals and tourists enjoy. He also writes about the little-known places and activities that will make your visit stand out from the rest. 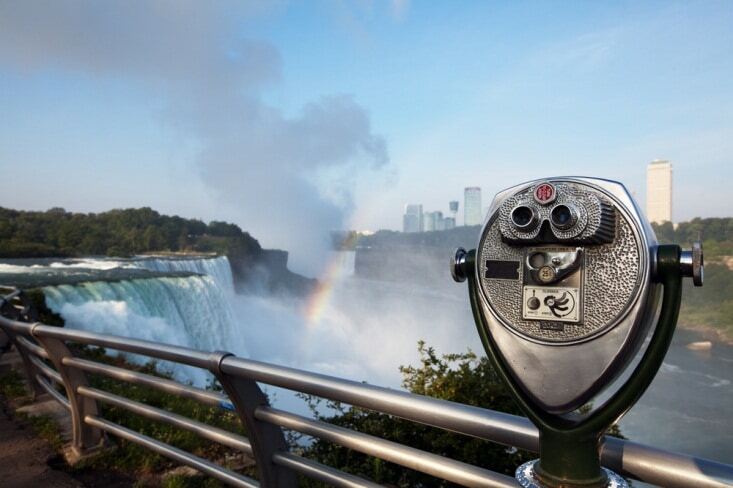 This guidebook includes both American and Canadian sides of the falls, so you have the opportunity to explore the entire Niagara region — or just stick to the grandeur and excitement of Horseshoe Falls. Frommer’s guides are usually hit or miss when it comes to the information they provide. Because most Formmer’s guides don’t have the glossy, full-color pictures of many guides, they can be less eye-catching, and the advice they give tends to be less persuasive without the visual help. However, Frommer’s is excellent at providing pre-made itineraries for the places it describes which can be vital for busy families who don’t have the time to do their own research. Plus, the prices Frommer’s gives are usually on-point, allowing budget-conscious travelers to save up accurately in preparation for their trip. Frommer’s Niagara Falls, while it lacks the vibrant photos of other guides, does hit the mark with the information it provides. Devoted to the Niagara region, Frommer’s really packs in the detail about restaurants, attractions, and viewing spots. Additionally, on top of all this, the guidebook inserts interesting facts and history of the region, giving the reader some background to consider while you’re wandering around Niagara Falls. 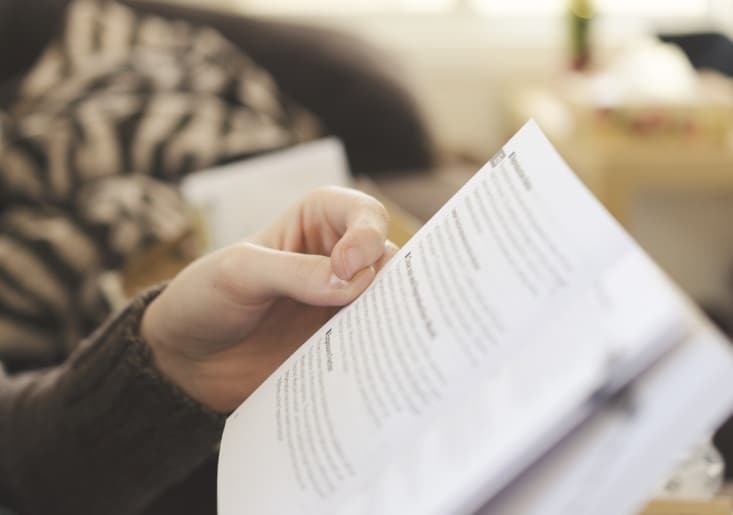 Having a guidebook can be essential to providing a complete trip, but you need to be sure you use the right guidebook for the experience you’re hoping for. You can take our opinions into consideration while you make your selection and begin planning your memorable trip to Niagara Falls.